The villainous Doctor Death. A Mad Scientist who put his brainwaves into a killer robot, only to have his original body die. Now trapped, he's descended even further into insanity. 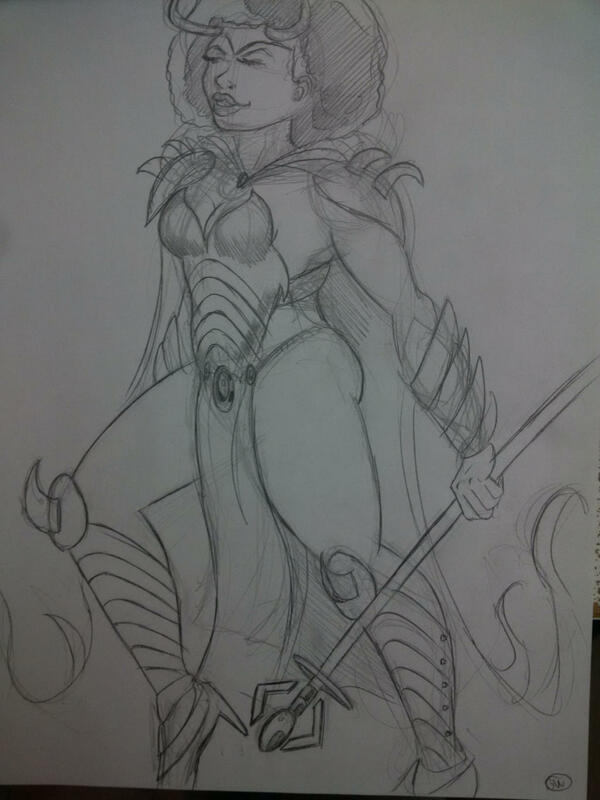 Valedictoria, the leader of the evil ultra-feminist Four Fatales. The smartest person on Earth, but SO NASTY. Okay, you knew I was going to post something like this eventually .